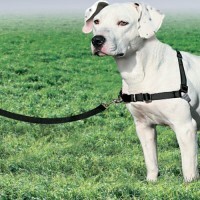 Description The Easy Walk Harness gently discourages your dog from pulling on the leash. Easy to fit and comfortable to wear, the Easy Walk Harness makes walking enjoyable for you and your dog. The front-chest leash attachment helps you steer your dog to the side and redirect his attention toward..
FishMate 5000 compact pound filter and pump. No pipes or external plumbimg this filter and pump sit inside the pound. Part Code: 375 Description: U.V. biological and mechanical filtration with integrated pump Easy to install and maintain Independent switching of pump and U.V. Includes fountain set&nb..